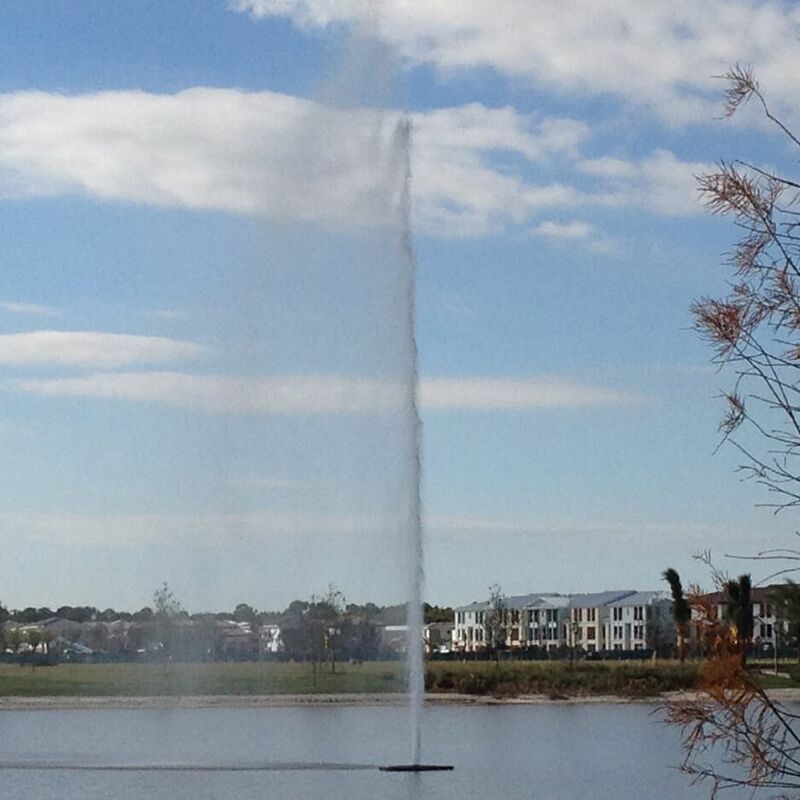 The Grand SuperNova Floating Fountain provides a truly spectacular vertical water display of up to 27.4 metres (90ft) height, creating a wonderful centrepiece in larger residential and public lakes. The floating pump produced a flow rate of around 90,800 Litres/Hour and will also assist in aerating and circulating the water body. 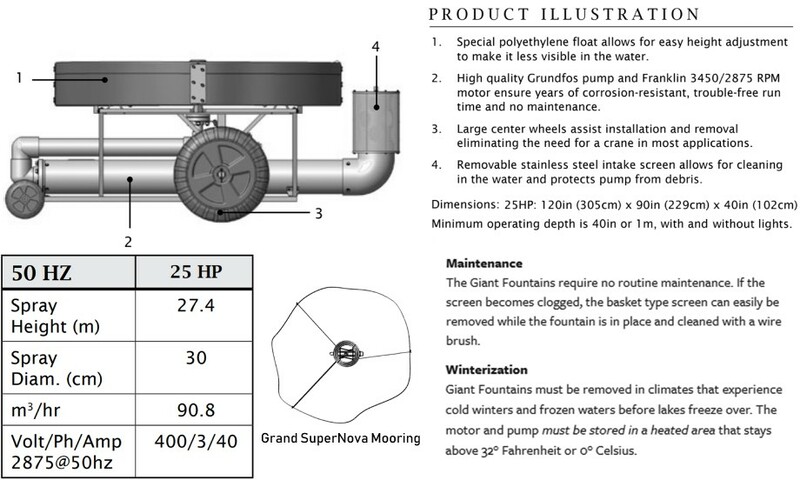 The Grand SuperNova pump is manufactured from robust Stainless Steel that is well suited to freshwater conditions. 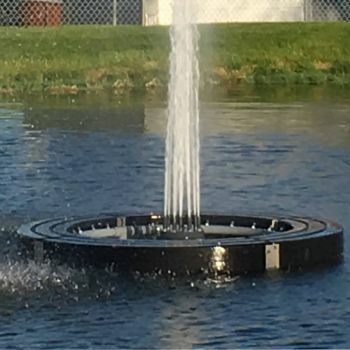 The Grand Fountain features a closed cell, high density polyethylene float that can be adjusted in the water for minimal visibility. 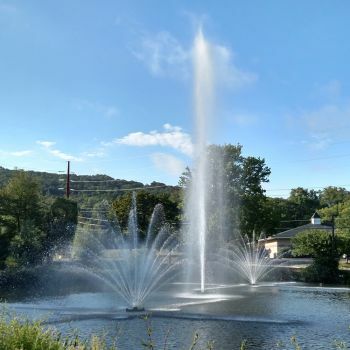 The Grand Fountain also features a 25HP Grundfos pump and a 2875rpm Franklin motor with quick disconnect power cable that ensures years of corrosion resistance and low maintenance. The SuperNova features a removable 22 gauge stainless steel mesh that protects the pump from debris and polyethylene UV inhibitor wheels for easy installation into water (assembled weight of 435Kg).